As Hurricane Irma tracked closer to Puerto Rico on Sept. 6, 2017, Shane Hubbard watched closely from 2,100 miles away. Hubbard, a natural disaster and flood researcher at the Space Science and Engineering Center at the University of Wisconsin–Madison, had helped design flood mitigation strategies for San Juan neighborhoods on a visit just six months earlier. It was his latest trip to the island since he began assessing its risks for flooding and hurricanes in 2011. As Irma skirted north of Puerto Rico, Hubbard provided assessments of potential damages and losses from Madison. Although the eye of the storm passed around 60 miles offshore, the capital still reeled. Hurricane Maria slammed into Puerto Rico on Sept. 20 with maximum sustained winds of 155 mph, destroying the weakened power grid and causing widespread flooding. 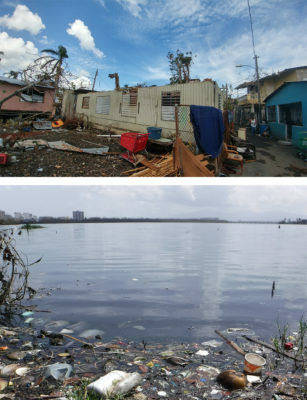 The hurricane caused an estimated $90 billion worth of damage, and the federal government declared the entire island a major disaster zone. The official death toll in Puerto Rico stands at 64; independent studies suggest the storm and its aftermath may have killed hundreds or even thousands of people. Two weeks later, Hubbard was back in San Juan. Hubbard has long been working to help emergency managers and their communities understand their risks with respect to natural hazards, such as tornadoes and flooding, so they can develop mitigation plans and manage during severe weather. In particular, he has developed computer models to help visualize the effects of such hazards. That modeling work led him to collaborations with the Federal Emergency Management Agency (FEMA) on modeling natural hazards. He first began working with the Commonwealth of Puerto Rico Planning Board in 2011 to model flooding risks during strong storms. As part of this effort, he travels to the island once or twice a year. Prior to Hurricane Maria, Hubbard had worked in Puerto Rico in January and March of 2017 through funding from the Rockefeller Foundation’s Climate Resilience Office in San Juan. The private philanthropic foundation had developed an initiative known as 100 Resilient Cities, targeting cities around the world to help them better meet challenges in three areas: physical, social and economic. That winter, as they were analyzing flooding risks within impoverished neighborhoods, San Juan’s Chief Resilience Officer, Alejandra Castrodad-Rodríguez, observed that one neighborhood, Playita, appeared particularly vulnerable and suggested that they visit and investigate further. They found that Playita borders a large body of water contaminated by sewage. That proximity can lead to disaster in times of severe weather and floods as the water strays beyond its normal boundaries. “And when it floods, that body of water that is contaminated goes into the community, and people get very sick,” says Hubbard. “The Climate Resilience Office brought in an engineering firm from the Netherlands (Deltares) to develop detailed flood maps of the communities under various flooding scenarios. We used the information that I had collected on buildings and previous flooding. We linked that with their flood mapping, and we created what past floods and future flood impacts would look like,” says Hubbard. Out of those analyses came ideas for low-cost strategies to mitigate the effects of flooding, from standard rain barrels to much larger rain silos that could hold thousands of gallons of rainwater, preventing it from becoming a flooding hazard. The team presented its research and suggestions to the community in San Juan in March. Six months later, Hubbard was carefully watching Maria’s approach and providing updates on San Juan’s risks based on the hurricane track forecasts. He kept in close contact with Castrodad-Rodríguez and was soon warning her that the floodwaters might reach a record-breaking eight feet. At the same time, Castrodad-Rodríguez was working in the neighborhood to encourage residents to evacuate to a safer location. “For the first time they were able to get about 150 people to evacuate. Generally, nobody will leave,” says Hubbard. While Playita was inundated with floodwaters deeper than it had previously experienced — anywhere from four to six feet — it was spared the eight feet Hubbard had feared, because the hurricane path had shifted 10 miles south. That minor change in course meant that the hurricane weakened as it spent more time over land before reaching San Juan. Hubbard flew back to the capital on Oct. 3 to see the aftermath of the hurricane and collect new data. His goal is to improve future analyses of flooding and hurricane risks so that these communities can better prepare. 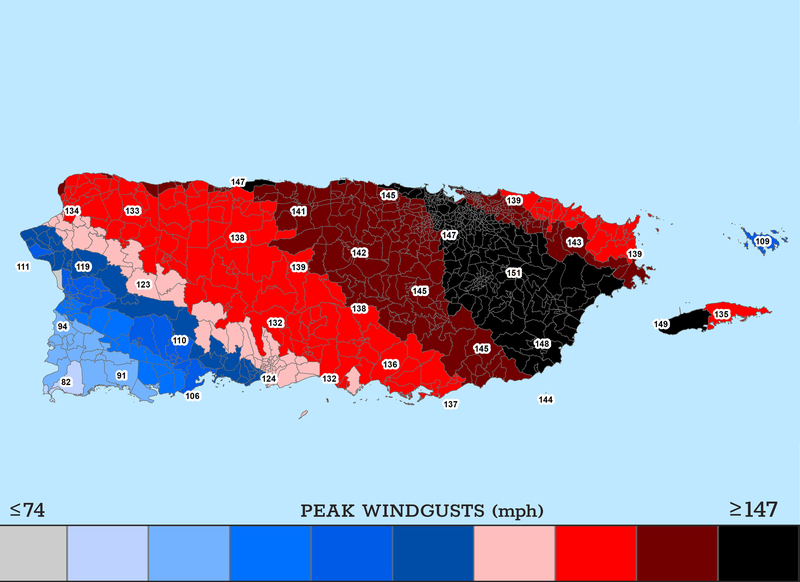 “One of the other things that had become very clear is the way that we model the damages from winds and flooding in the continental United States are different than how these impacts should be modeled in San Juan. Almost 90 percent of their residential construction is concrete block … (with) no drywall on the walls … (and) concrete floors,” says Hubbard. 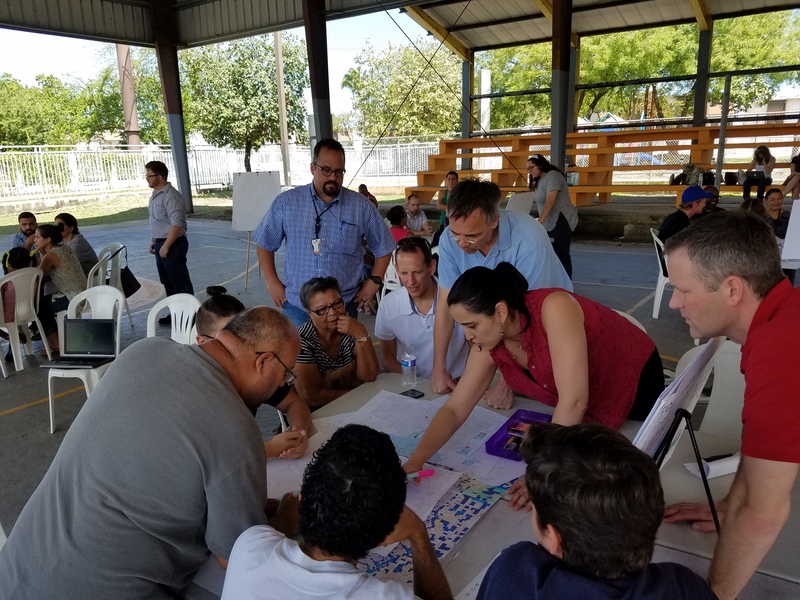 Through community engagement, Castrodad-Rodríguez built relationships and organized volunteers to support recovery efforts within the neighborhoods. These connections made it possible for Hubbard to visit homes and see the damage, as well as the ongoing repairs. He says residents of Playita worked for “days and days” using bleach to remove contamination caused by raw sewage in the floodwater. Of the roughly 2,000 buildings in that community, nearly half had been flooded while almost a third had roof damage. At the same time, Puerto Rico was entering its rainy season, September to December, which compounded the damage and hampered recovery efforts. In spite of these devastating scenes, people within the neighborhood were coming together to help each other, and community leaders were developing solutions and plans to mitigate the effects of future hurricanes and floods. Hubbard says he is glad to be a part of the team working to make a difference — sharing knowledge, data and tools. “All this work that we’ve been doing in this small community for the last year is now going to be considered during the recovery efforts that will lead to resilience initiatives,” he says. 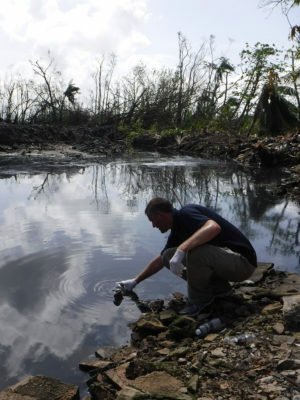 This work was supported by FEMA, the Rockefeller Foundation, and SSEC.